How can I split my Steam Library across multiple portable harddrives? I am currently downloading my Steam Library to a 4TB Portable Harddrive which when i want to play a game, i copy off from onto my gaming PC, whichever it may be (in the event i do a new build). 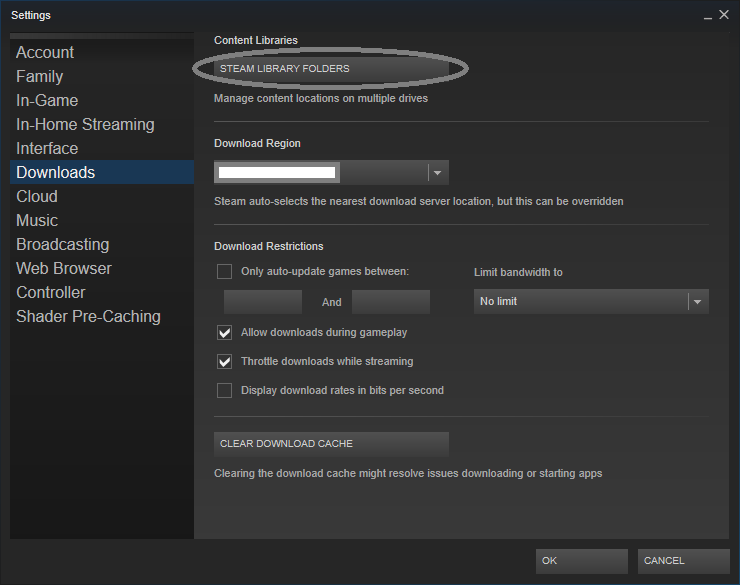 Steam offers configuration for multiple locations of your game library across an arbitrary amount of drives. 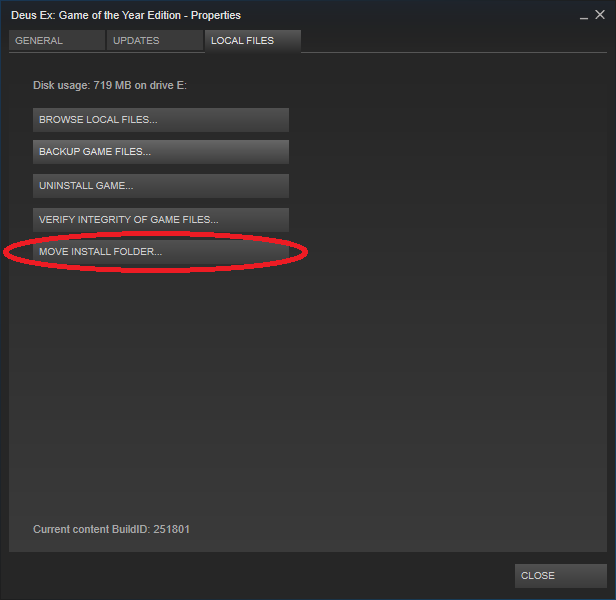 To set additional folders, navigate to Settings > Downloads and select "Steam Library Folders". You can manage all of your game folders in here. After that you can easily move your installed games from one location to another by right-clicking the game in your Library overview, navigating to Properties > Local Files and then selecting "Move Install Folder...". 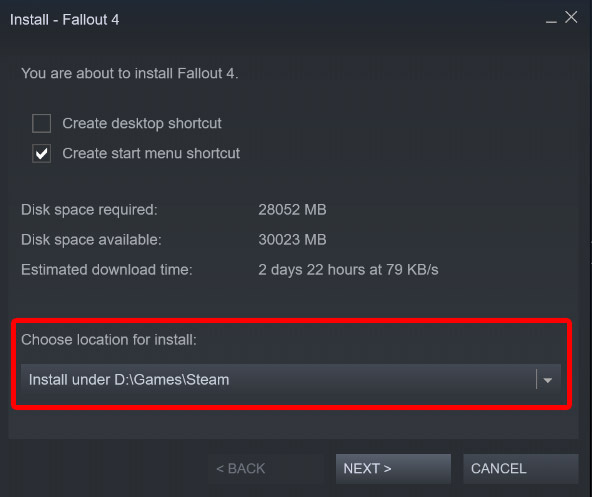 When downloading a new game (or reinstalling one), you can choose the install location from your configured library locations in the download interface beneath the "Choose location for install..." message. Steam allows you to have multiple libraries, across multiple hard disks. 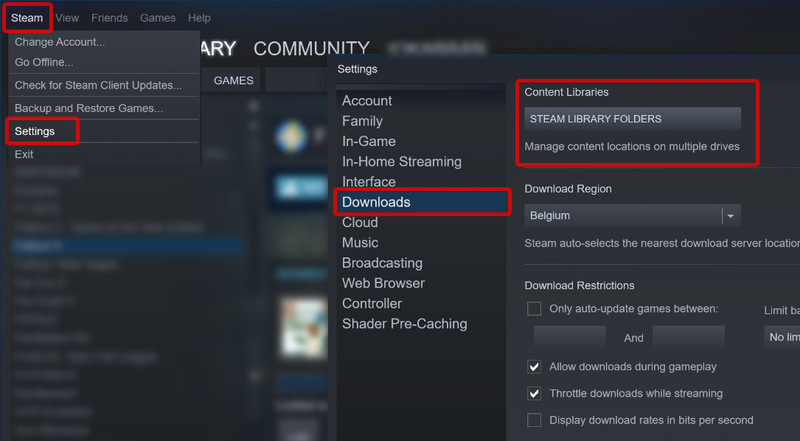 You can add new libraries by going to Steam->Settings->Downloads, and choosing the first option on the right: Steam Library Folders. Assuming you have the disk you want to install on connected, and already created a library there, it will show up in the installation pop-up menu. Alternatively, you can use Steam Mover to make Steam think your games are in a certain folder (for example on A:) while they are actually somewhere else. You have to install them in that certain folder first, but can move them afterwards. I use a program called GamePipe to move installed games back and forth between different drives. It won't automatically switch to downloading on drive B when drive A gets full, but moving games between your various library locations is a simple drag-and-drop process. It also updates the .acf files, so Steam knows where to find the games you moved without you needing to do anything else. It does not download updates for games on drive A if drive A is not connected (that I've noticed, anyway.) It definitely WILL download updates for those games when drive A IS connected, though. AFAIK, it puts the updates on the drive where the game is stored. Steam itself has support for multiple libraries these days. GamePipe can handle as many as you can set up in Steam, AFAIK. 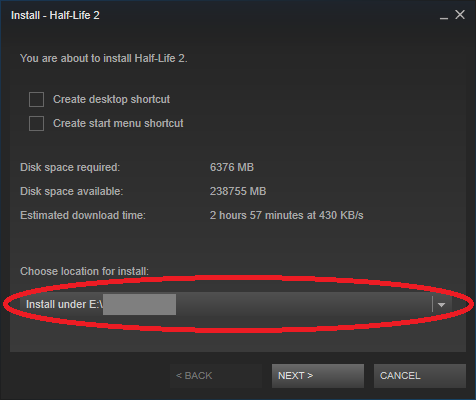 How to install Steam games on external HDD without having to rerecognise files?